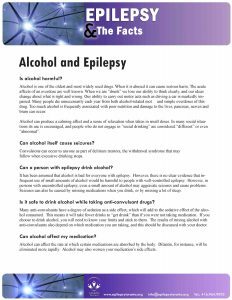 Detailed information on epilepsy and a variety of issues are outlined in Epilepsy Ontario’s ‘Spark Sheets’ and the Epilepsy Toronto’s ‘Fact Sheets’ series. General information as well as more targeted subjects are listed below. Click on your topic of interest, download a pdf fine, and get the facts. I had a seizure at work. Now what?